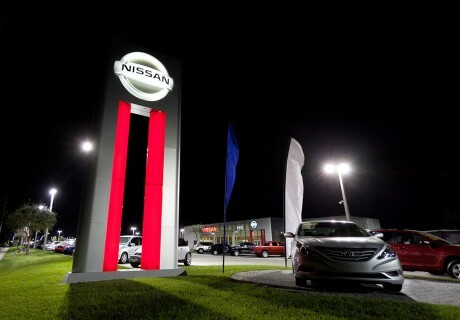 Hill Nissan is the fastest growing family owned Nissan dealership in Central Florida. The Hill family has operated the dealership for 33 years. This 6.6 acre parcel on Cypress Gardens Boulevard was designed and permitted by ECON for a new vehicle showroom.